Patients diagnosed with Gastroesophageal Reflux Disease (GERD) often experience life-limiting symptoms such as severe heartburn, acid indigestion, chest pain, regurgitation, difficulty swallowing and more. According to the National Institute of Diabetes and Digestive and Kidney Diseases (NIDDK), 20 percent of the United States’ population suffer from GERD. 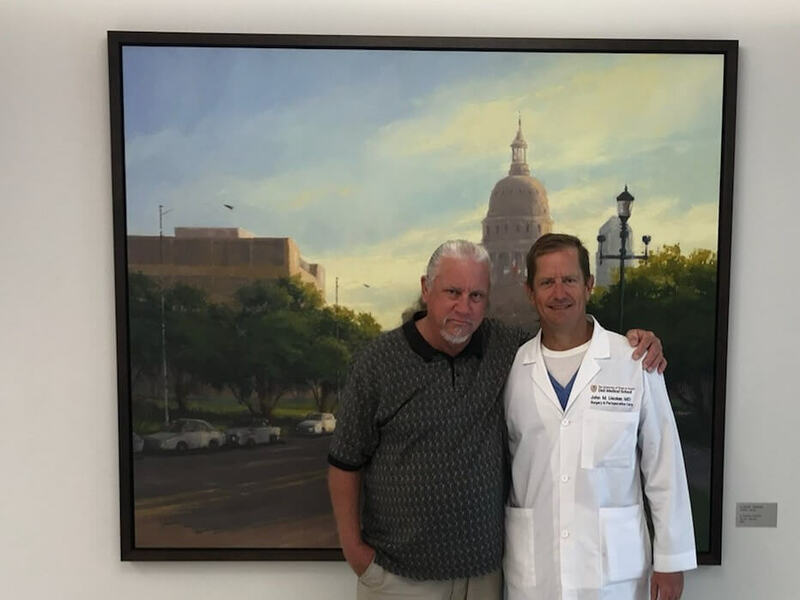 63-year-old Jeffery Friend was no stranger to the adverse effects of GERD, and after a decade of dealing with chronic coughing, frequent regurgitation, sleepless nights and persistent pain, he was ready for relief. Dell Ascension Seton Medical Center at The University of Texas offers innovative LINX Reflux Management System to treat patients with GERD, a chronic digestive disease that occurs when stomach acid irritates the stomach lining. During the LINX procedure, a small flexible band of titanium beads, each with a magnetic core, is placed laparoscopically around the patient’s esophagus to allow foods to be swallowed and prevent reflux, according to John Uecker, M.D., FACS, Ascension Seton Family of Doctors Ascension Seton Surgical Group and associate professor and program director of general surgery residency program at Dell Medical School at The University of Texas at Austin. While life style changes and mediations can help manage GERD symptoms, for some, surgical intervention is needed. “Friend experienced severe GERD symptoms that greatly impacted his quality of life,” said Uecker. Friend made many attempts to treat his GERD before the LINX procedure in 2018.